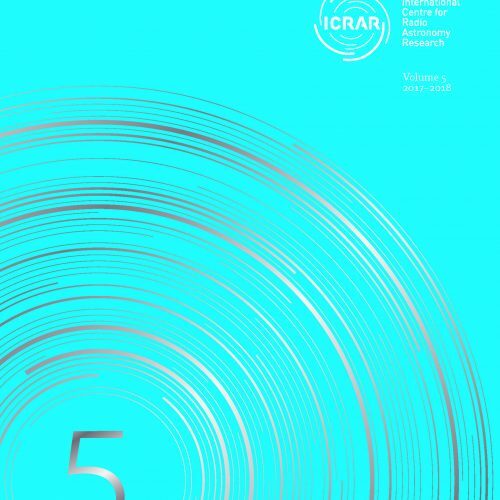 ICRAR is committed to supporting women in astronomical sciences and technology. Join our vibrant research community for a three month fully-funded visiting fellowship in Perth, Western Australia. ICRAR is a Western Australian Government funded, equal joint venture of Curtin University and the University of Western Australia (UWA). ICRAR is committed to supporting women in astronomical sciences and technology. This fellowship is aimed at providing an opportunity for senior women astronomers, as well as engineers and data scientists working in the field of astronomy, (having more than five years research work experience post PhD) to visit ICRAR and interact with ICRAR researchers and graduate students. 2019 is the fifth round of this Fellowship, previous recipients of the Fellowship can be seen below. Create opportunities for young researchers at ICRAR, particularly women, to learn career development and work-life balance strategies from potential senior role models. Enable scientific interaction between early career researchers and graduate students, particularly women, with senior academic visitors. Explore opportunities for developing mentoring relations. Enrich the research environment at ICRAR. Create opportunities to foster national and international collaborations. The Fellow is expected to take part in a range of mutually discussed and agreed activities in line with the objectives of the Fellowship and split the time similarly between the two ICRAR nodes (Curtin University and UWA), in order to have the opportunity to participate in ICRAR’s daily life and engage with people at both institutes. Lilia Ferrario is a theoretical astrophysicist. Her research interests have been wide-ranging and she has made leading contributions to several topics. In stellar structure and evolution she worked on the vexed question of why stars become red giants. She then moved to the modelling of the atmospheres of magnetic white dwarf stars and of magnetically confined accretion flows and cyclotron shocks in the interacting binary stars known as Magnetic Cataclysmic Variables. More recently, she has studied the radio, X-ray and birth properties of pulsars and magnetars. She has also embarked on the search for the elusive progenitors of type Ia Supernovae, used to study the accelerating expansion of the universe, and on the origin of long gamma-ray bursts. She is currently working on the origin of magnetic fields in white dwarfs and neutron stars and on the dynamical properties of white dwarfs to conduct archaeological studies of the Milky Way. Lilia Ferrario graduated in Italy at the University of Bologna and completed her PhD at the ANU Mount Stromlo and Siding Spring Observatories in 1990. After a few years in the UK as a postdoctoral fellow at the University of Leicester, she returned to Australia as a joint Research Fellow at the Research School of Astronomy and Astrophysics and the School of Mathematical Sciences. She was appointed as a lecturer in the ANU Department of Mathematics in 1996. She is currently the Associate Director Education of the Mathematical Sciences Institute and she is a Senior Fellow of the Higher Education Academy. 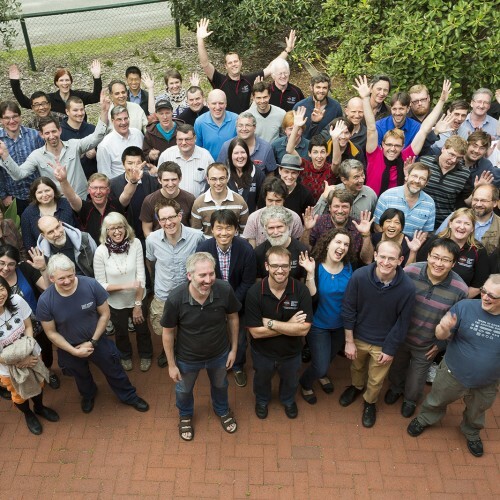 Lilia will engage in scientific collaborations with ICRAR staff on Galactic archaeology, pulsars and magnetars, metal polluted white dwarfs, and on the radiation properties of Magnetic Cataclysmic Variables. Lilia will meet with early career researchers and PhD students to help them enhance their career prospects and identify common research interests. She will also engage in discussions on gender equality in science and will propose strategies to promote the appointment and promotion of women in astronomy. Anna Frebel is an observational astronomer and her research is primarily observational stellar astrophysics, focusing on the discovery and element abundance analyses of the oldest, most metal-poor stars in the halo of the Milky Way and small dwarf satellite galaxies to explore the chemical and physical conditions of the early universe (“stellar and dwarf galaxy archaeology”). The main goals center around understanding a broad range of topics ranging from nucleosynthesis and nuclear astrophysics to chemical evolution to first star/first galaxy formation, and to the assembly of the Milky Way with its dwarf galaxies. After studying physics in Freiburg, Germany, she obtained her Ph.D. in astronomy and astrophysics from The Australian National University’s Mt Stromlo Observatory (2007). 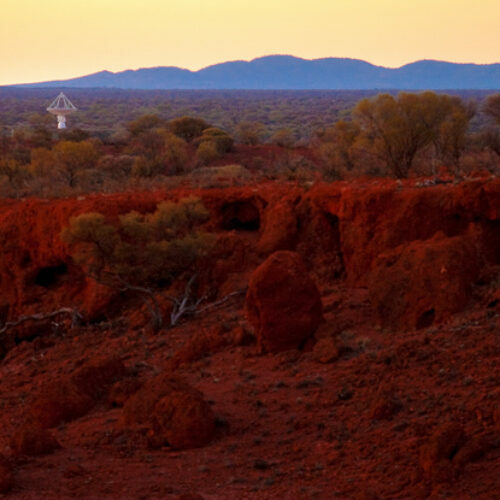 She was awarded the 2007 Charlene Heisler Prize for the best Australian astronomy PhD thesis of 2006. She was a McDonald Postdoctoral Fellow at the University of Texas, Austin (2006 – 2008) and a Clay Fellow at the Harvard-Smithsonian Center for Astrophysics in Cambridge (2009 – 2011). Science News Magazine selected Anna Frebel as one of their ten 2016 Outstanding Young Scientists, and she is a 2011, 2013, and 2015 Kavli Frontiers of Science Fellow (National Academy of Sciences). She won a 2013 CAREER Award from the US National Science Foundation for her work on the oldest stars and the early Universe. She also received the 2010 Annie Jump Cannon Award by American Astronomical Society and the 2009 Ludwig-Biermann Young Astronomer Award (from the German Astronomical Society). At ICRAR, Anna will engage in scientific collaborations with the staff, conduct a series of discussions on gender and work life issues, and share her experience as a senior woman and mentor in astronomy with PhD students and ECRs. Francesca Primas is an observational astrophysicist whose work focuses on unraveling the formation and evolution of the Milky Way and Local Group galaxies via a detailed study of their chemical histories. For this, Francesca has used a variety of instruments, both in space and on ground, including the most efficient spectrographs at the largest ground-based facilities. She has explored different elements of the Periodic Table (from lithium down to uranium) and she likes to tackle different stellar environments (galaxy halos, disks, open and globular clusters). Her work ties together several topics, including primordial and stellar nucleosynthesis, galactic and extra galactic chemical evolution and enrichment timescales, stellar atmospheres and near field cosmology. Francesca spent most of her career at the European Southern Observatory, where she is a Full Astronomer, working in the Observing Programme Office. Between 2006 and 2015, she has been the Head of the User Support Department, actively contributing to the success of the VLT operational model. Currently, she is also the Chair of ESO Faculty. Francesca obtained her PhD from University La Sapienza in Rome (Italy), after having carried out most of her thesis project at the University of Chicago, where she then stayed for her first post-doctoral appointment, before joining ESO. At ICRAR, Francesca will focus on developing a new observational project on light elements in the Galaxy and will also continue studies on the chemical history of dwarf spheroidal galaxies. She will also engage with the ICRAR staff and students in discussions on operational aspects of large astronomical facilities and she is looking forward to exchange views on the main challenges that female astronomers are facing today and debate on best practices and gender equality plans. Vernesa Smolcic is an observational astrophysicist whose work focuses on understanding how galaxies form and evolve through cosmic time. Her expertise are radio continuum surveys, and multi-wavelength analyses of star forming galaxies and active galactic nuclei, and their cosmic evolution. At ICRAR she will investigate the evolution of active galactic nuclei across cosmic time in synergy between observations and theory. She currently holds an associate professorship at the Physics Department, Faculty of Science University of Zagreb, Croatia. Prior to this she was assistant professor at the same department (2010-15), ESO ALMA COFUND Fellow (European Southern Observatory, Argelander Institute for Astronomy, Bonn, Germany), CARMA postdoctoral scholar (California Institute of Techology, California, USA, 2008-10). She did her PhD at the Max-Planck Institute for Astronomy and Ruperto-Carola University (Heidelberg, Germany). Dr. Smolcic is the head of the Croatian Physical Society ‘Women in Physics’ group, and their science section. She holds the European Research Council Starting Research Grant and Marie Curie Career Integration Grant. She has supervised a number of undergraduate and graduate students. Dr Smolcic will be at ICRAR for two months from November to December 2015 as ICRAR Visiting Fellow. More information at http://zgal.phy.hr and www.phy.pmf.unizg.hr/~vs. Image of Dr Smolcic credit Damir Fabijanic. Dr Andreea Font is a computational cosmologist, whose work focuses on understanding the formation and evolution of galaxies. At ICRAR, she will investigate how the formation histories of dwarf galaxies influence the properties that we observe today, using state-of-the-art cosmological galaxy formation simulations. Dwarf galaxies are a sensitive test of our theories of galaxy formation, and the effects of such assembly bias could be detectable with future observations, such as the WAVES galaxy survey which is being led by researchers at ICRAR/UWA. This work will be carried out in close collaboration with Dr Chris Power, Dr Claudia Lagos and Dr Aaron Robotham. She currently holds a lecturership at the Astrophysics Research Institute at Liverpool John Moores University. Prior to this, she held a Royal Society “Dorothy Hodgkin” fellowship at the Institute of Astronomy in Cambridge (awarded in 2009) and an STFC Postdoctoral fellowship at the Institute of Computational Cosmology at Durham University (2006-2009). She obtained a Ph.D. in Astrophysics from the University of Victoria, Canada in 2005. Dr Font enjoys discussing science with and working with young researchers. She has supervised a large number of senior undergraduate and graduate students, of which a number have produced scientific publications in high quality journals as a result. She is a strong advocate of advancing women in science-based careers. She has been a member of the STFC Women in Science, Engineering, and Technology Focus Group (between 2011 – 2015) and currently she is a member of the Athena Swan committees at LJMU at both Faculty of Science and University level. She believes that establishing a healthy work-life balance has been absolutely essential in her career.